Papercraft from a new guest designer, this cute Digimon created by Fahmi (PERI member). 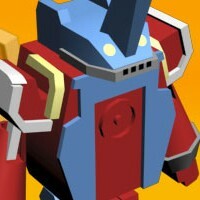 Ballistamon is derived from the word ballista, it's a heavy weight Digimon. Fahmi made available this paper craft template in PDF files and the assembly instructions are in PDO files, which needs pepakura viewer to open. 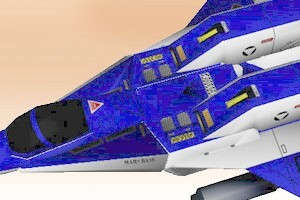 This is a papercraft of a jet fighter form of Genesis Climber Mospeada Robotech: Legioss AFC-01H movie. This Legioss was created by a guest papercraft designer DarkAntzMK-II and with his permission the pattern file is hosted at Paper Replika. The file contains 11 pdo files, which you can open and print with pepakura viewer (freeware). Despicable Me is animated 3d movie created by the creator of Ice Age. Couple days ago i stumbled upon its movie trailer on youtube. 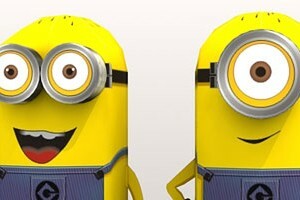 One minion laughing at his pal other minion that cannot say "despicable", it's so funny, I watched it many times. Until I found out this movie is brand new movie and I think I better make them in papercraft, they're so cute. Unyil is a character from a television puppet show in 1980's. Unyil was a very popular tv serial at its time, it played every sunday morning. The main characters are Unyil, Usrok and Ucrit, they all students in the same elementary school, they also have a music band. The serial reflects solidarity and tolerance in Indonesia, the have and the poor, different culture and different religions all are helping and caring to each other. Unyil has a very good education for the children. I always watch when it played when I was a kid. Unyil also contributes to my interest in miniatures with its miniature sets, detailed small houses, trees and vegetations all in scale models. Sadly they ceased to air again since 1993, they were losing their fans through floods of import tv animations in all indonesian television stations. 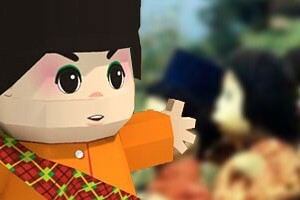 All characters now can be seen at Jakarta Puppet Museum. Still doing commercial project, this is an unofficial pocoyo papercraft. A request from my friend. My daughter like pocoyo very much until she discovered baby tv on our cable tv channel. 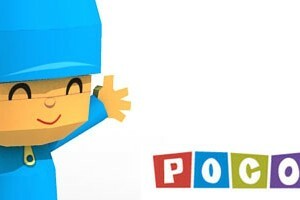 I like pocoyo too, he very is cute and funny. Pocoyo (Pocoyó in Spanish) is a Spanish pre-school animated cartoon series created by David Cantolla, Luis Gallego and Guillermo García Carsi of Spain. It is about a young boy dressed in blue, who is full of curiosity. Viewers are encouraged to recognise situations that Pocoyo is in, and things that are going on with or around him. Each character has its own distinctive dance, and most episodes end with the characters dancing.